1000 DegreesC) and low pressures (< 2 kb) and typically results in the formation of "burnt" and fused rocks termed buchites, paralavas, clinkers and fulgarites. It is typically associated with shallow basaltic intrusions (contact aureoles, xenoliths,) combustion of carbonaceous matter, lightning strikes, and is also found in meteorites. During pyrometamorphism, the sequence of heating and cooling is greatly condensed favouring the preservation of a variety of stranded reaction microstructures that reflect disequilibrium reaction kinetics with metastable and mineral crystallisation. 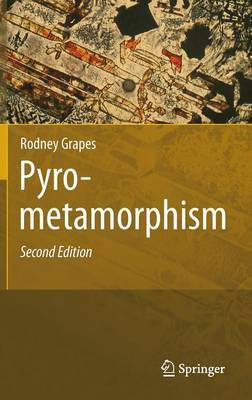 This second edition includes the latest developments in the study of pyrometamorphism derived from over 60 new references and accompanied with over 20 new illustrations.